Joy Ross is committed to bringing Mike Tyrrell's story to life to inspire hope, courage, perseverance, and beauty in the face of tragedy. It is always such a tremendous honour to be bestowed the privilege of continuously sharing with you, the phenomenally talented, light and bright-hearted souls who are generously and tirelessly spreading their gifts of individual inspiration with the rest of the world – not unlike yourselves – here on this amazing platform! Each week, I have the gift of showcasing remarkable human beings on Living Fearlessly with Lisa McDonald global radio/podcast show. Many of these gems are then shared here on Thrive Global with a Feature Article write up, inclusive of the podcast link and show graphics, so you can put a face to the voice and to the amazing message my individual guests continue to impart with the collective! In this particular Feature Article/Radio Interview, I feel even more so blessed and grateful given the fact that I share a personal relationship with this remarkable individual, which far extends beyond our 55 minutes together on the airwaves. Joy Ross, who is my featured #ThriveThursday person of the week, is also a mentoring client, whose profound commitment to personal and professional development, has been an absolute pleasure for me to see unfold in the way that it truly has and continues to do so. The continuous and momentous strides Joy has embraced to undertake in her journey of self-discovery, self-awareness, and self-empowerment has been a ‘JOY’ to bear witness to. She is Irish, she is fierce, she is strong, she is outspoken, and has most definitely stepped up to the plate in creating the life for herself that is most certainly in alignment with her true core self. Once upon a time, Joy, like many of us have been ‘guilty’ of, consistently placed herself last in her own life. The plethora of others needs had continually been allowed to supersede those of her own on Joy’s daily priority list. Days of this same pattern turned into weeks, which evolved into months; eventually morphing into consecutive years of Joy shelving her own purpose and passions onto the back-burner. Upon us embarking on this mentorship journey together, we in tandem, had systematically sought out to monumentally shift the paradigm of all ingrained and deeply embedded patterns related to the concepts and actions related to thinking, being, doing, and believing so as to forge, create, and unleash an entirely brand new script – one, which by contrast, genuinely aligned with Joy. The trajectory for how Joy wanted and needed her life to change, coupled with the actionable steps to be taken, has significantly propelled Joy in the direction of her now LIVING her preferred life and doing so while consciously choosing to operate at her highest vibrational level. Joy choosing Joy…Joy advocating for Joy…Joy empowering Joy…has been one of the most magnificent transitions I have ever witnessed taking hold in a fellow human being’s life experience! Joy has not only made the leap of faith and transition in the honouring of herself and her life journey, she has truly become unstoppable! Joy has reclaimed her voice and her conviction. She has restored her clarity and laser sharp focus for what and who is most pivotal for her at this juncture in her life. She is no longer mired in the energy of everyone else’s succession of back to back crises – rather, Joy, has established clear boundaries. She is constructively and productively using her time to execute on the book she knows she was always compelled to write. Joy is taking and nurturing sacred space for Joy, and I could not be more proud or grateful to have a front row seat, to the unveiling of Joy’s reinvention process…Joy’s rebirth! Joy Ross is a mother, author, entrepreneur, visual artist, educator, healer, and visionary! Impressed at an early age by her father’s differences and determination, Joy is currently writing the story of Mike Tyrrell’s remarkable life and how he triumphed over the insurmountable devastation of losing his left arm and his eyesight in a dynamite explosion, yet went on to live a life of mastery. A touchstone for many, Mike aimed to consistently exceed his personal best in sport and in all areas of life. This led him to live fearlessly and without limits. 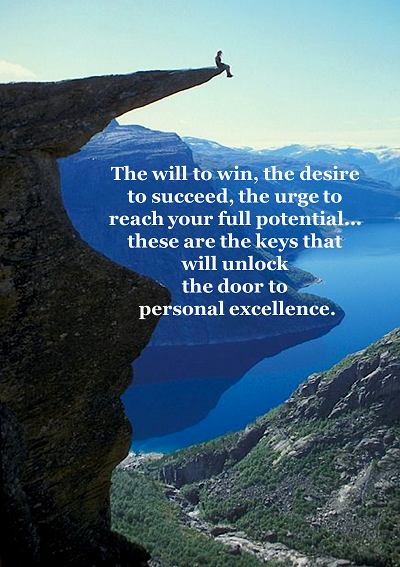 “In sport, as in life in general, the pursuit of excellence needs to be a constant goal. As I continue to manifest this philosophy I will also strive to remain available as a resource, both for the community and for individuals in order that dreams of others can be realized as well.” ~ Mike Tyrrell. With her book, ‘Indelible Vision,’ Joy is committed to bringing Mike Tyrrell’s story to life to inspire hope, courage, perseverance, and beauty in the face of tragedy. Joy…you are most definitely your father’s, daughter! I am in awe of both of you! R.I.P Mike Tyrrell.